Reliable Nissan is a trusted resource for reviews of the 2013 Nissan Juke - scroll down below the video to begin reading. Reliable Nissan is a leading Nissan franchise in Albuquerque for a reason. We provide you with reviews recorded by automotive writers at the height of their craft. 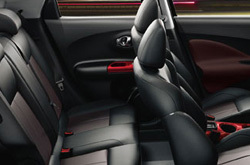 Filled with essential material and specs, each article gives you full access to everything the Nissan Juke has to offer. What are you waiting for? 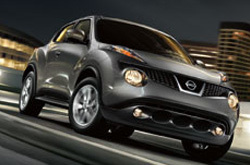 Watch the video below or start reading the 2013 Juke review below! Compare the 2013 Nissan Juke to vehicles like the 2013 Scion xB, Toyota Matrix, Kia Soul, Mitsubishi Outback Sport and the Mini Clubman, and you'll catch that the Juke outshines the competition in oodles areas. Get a load of our Quick List below to find out why! Get a full year warranty on repairs - plus access to accredited Nissan parts and phenomenal Nissan technicians - at your leading Albuquerque area Nissan repair center. Reliable Nissan's auto service crew will help keep your Nissan Juke in staunch condition. We handle difficult, trying services like shock and strut repair, as well as effortless endeavors such as customary oil changes, tire alignment and replacement and a wide array of special services. Conjointly, Reliable Nissan offers customized customer service and fair prices. Check out the link below to see how much money you can save on your next service appointment.